Every year, about half of the more than one million people in the United States who have a heart attack survive. But because the first heart attack increases their risk for another one, these people must make major adjustments in their lives to keep their hearts healthy in the future. In addition to adopting a healthy diet, quitting smoking and losing weight, most people who’ve had a heart attack take medications to help further reduce their risk. Clopidogrel – sold under the trade names Plavix, Iscover, Clopilet and Ceruvin – is a drug commonly prescribed (often in combination with aspirin) to help prevent platelets in the blood from forming clots that can block blood flow to the heart. Clopidogrel is converted into its active form once it is inside the body. But some people carry genetic variants that reduce the activity of an enzyme central to this conversion process, which in turn reduces the amount of active clopidogrel in the bloodstream and the effectiveness of the drug in preventing clots. Three reports published online this week — two in the New England Journal of Medicine and one in The Lancet — show that these genetic variants can increase the chances that a patient will suffer a second major cardiovascular event. Jessica Mega and co-workers from Brigham and Women’s Hospital and Harvard Medical School in Boston tracked 1,477 subjects who had had unstable angina or a heart attack and were taking clopidogrel. Their results, published in NEJM, showed that those people who carried one or more copies of a function-reducing variation in the CYP2C19 gene that (referred to as *2, *3, *4 and *5) had 1.53 times the risk of having a heart attack, stroke or dying from cardiovascular causes compared to non-carriers. The risk of a stent-blocking clot (in those patients who had stents implanted during angioplasty to keep their arteries open) was increased three-fold. The second NEJM report, from researchers at several Paris hospitals led by Tabassome Simon, showed that in a group of 2,208 heart attack patients taking clopidogrel, carrying two CYP2C19 variants (any combination of *2, *3, *4, or *5) led to a 1.98 times increased risk of heart attack, stroke or death from any cause. Among the 1,535 patients who underwent angioplasty while in the hospital, having two function-reducing CYP2C19 variants increased the risk of cardiovascular events by 3.58 times. Unlike the study from Mega et al, Simon and colleagues did not see an increased risk in those people with only one copy of a CYP2C19 function-reducing variant. Finally, Jean-Philippe Collet and colleagues (also from Paris, France) followed the outcomes for 259 young (< 45 years old) heart attack patients taking clopidogrel. Their results, published in The Lancet, showed that having one or two copies of the CYP2C19*2 variant increased the risk of a second heart attack by 4.54 times. 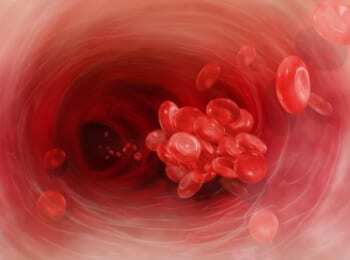 The risk of a stent-blocking clot increased 6.02 times. Collet et al did not investigate the other CYP2C19 variants included in the other reports. Although the magnitude of the effect of CYP2C19 variants was different in each report, all three did show that versions of the CYP2C19 gene that reduce its ability to activate clopidogrel also increased the risk of a second cardiovascular event in those patients who have already suffered one. Based on these results, both Simon et al and Collet et al suggest that genotyping patients might be a good alternative to the current practice of monitoring their platelet response to clopidogrel. But in a commentary accompanying the report in The Lancet, Dr. Robert Storey of the Cardiovascular Research Unit at the University of Sheffield School of Medicine, UK, argues that testing platelet function in patients is faster than genotyping, and has the added benefit of finding patients who are not responding to clopidogrel due to factors other than CYP2C19 variants, such as age, diabetes, renal failure and cardiac failure. “Genotyping of patients with acute coronary syndrome is not necessarily the appropriate solution without further work to validate such an approach,” he writes.